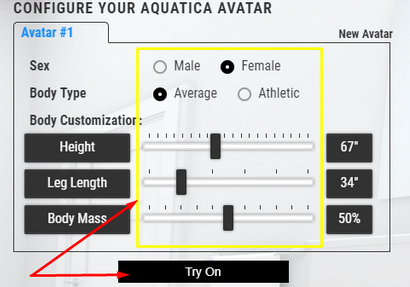 Enter your body parameters like height, body type and leg length to create your avatar. 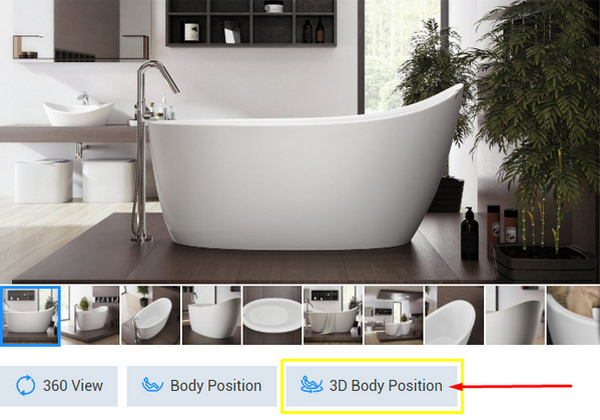 Then, by clicking "Try On", match your avatar to the selected bathtub to evaluate the comfort and fit. You can create additional avatars for other family members by clicking "New Avatar". 3D Body Position App - Try It Now!